Will our marriage be legally recognised in the UK? How long does our stay in resort need to be? What name should the bride-to-be travel under? Can I get married overseas if I have been divorced? Will we get an official wedding certificate? Can we request a date/time for our wedding? Who will conduct our wedding ceremony? Can you organise our wedding reception? Do we need to organise witnesses to be present? Can friends and family attend our wedding? Can we amend/cancel our wedding? Can we choose any style of wedding outfit? Can we book with a hairdresser or beautician? Will it be possible to arrange group excursions? Can we book separate rooms for the night before the wedding? Can you arrange extras (flowers/ photographer)? How do we transport wedding clothes? Do we need a special wedding insurance? What happens after we book? Who will be my Wedding Planner on the day? Yes - your marriage is completely legal and recognised in the UK. There will be some paperwork involved which can take time to prepare. We require a minimum of 7 weeks notice for Rhodes weddings. 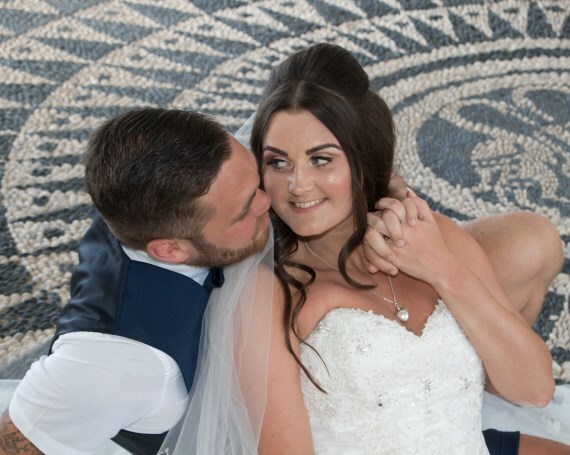 The more popular wedding venues can get booked up very quickly therefore booking as early as possible is always best. This will also prove helpful if you plan to include a wedding party as flights and accommodation also fill up quickly. We recommend a 14 night holiday as it makes your time away more relaxed. However for Rhodes there is a minimum of 5 nights stay. 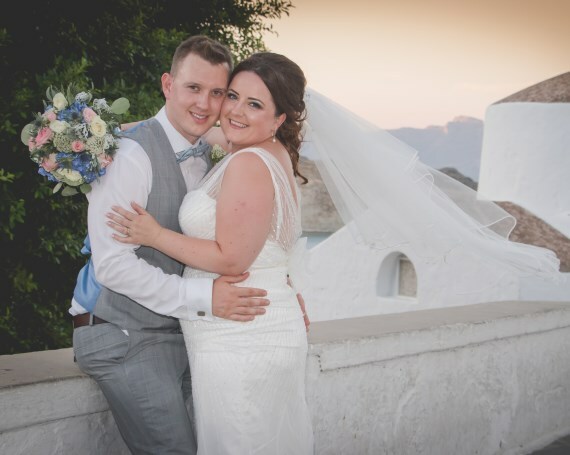 For Santorini a 14 night stay is required as clients must be on the island a minimum of 7 nights before the wedding can take place. 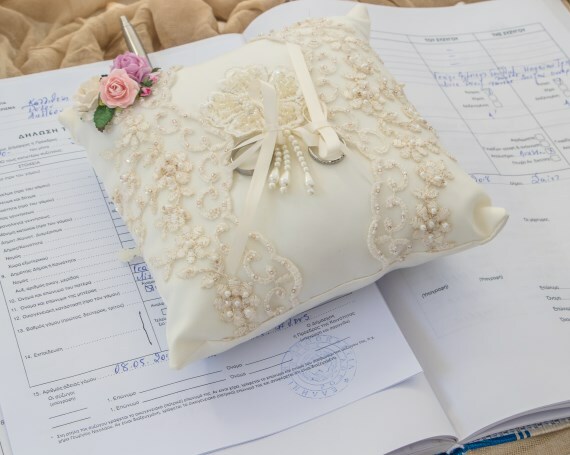 The bride must travel under the name that appears on her passport for both the outbound and inbound journey. There are some legal formalities attached to marrying abroad although probably less than you would imagine. 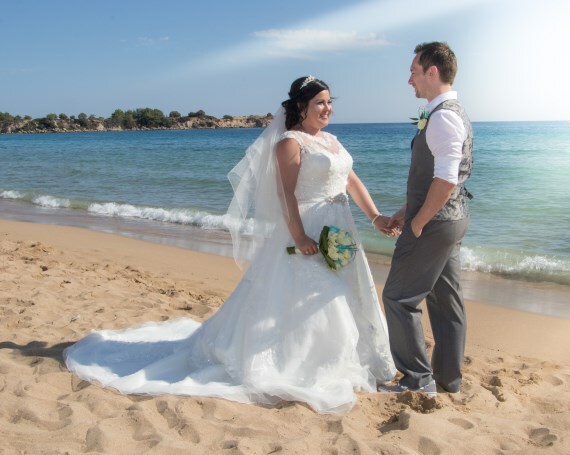 Please refer to our legal requirements so you can see what is required for you to be able marry in Greece. Yes of course - You will just need to provide your divorce certificate proving that you are now single and free to marry. The cost of your wedding includes the translation of your wedding certificate into English. If your certificate isn't ready to take home with you, we will forward it by post onto your home address. Yes, we can request out for your chosen wedding date. 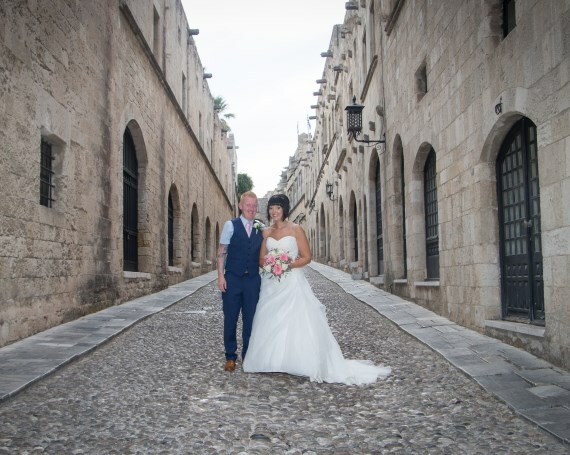 This is subject to the availability of your chosen venue and the person who will conduct your ceremony. 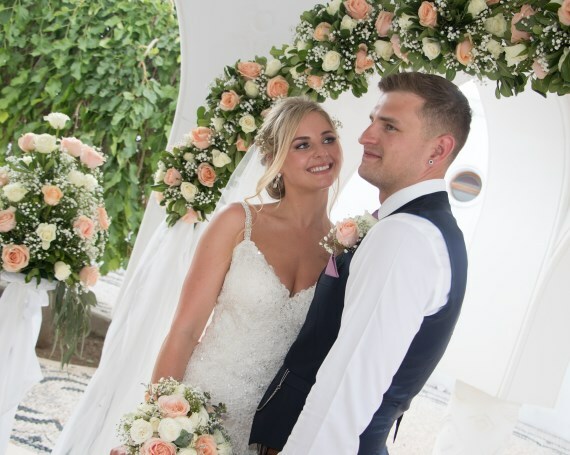 We will always confirm a wedding date and time at time of confirming your booking. (Please bear in mind that any unforeseen circumstances that may occur locally could cause re-scheduling of your dates). Your wedding ceremony will usually be performed by a local registrar or mayor. 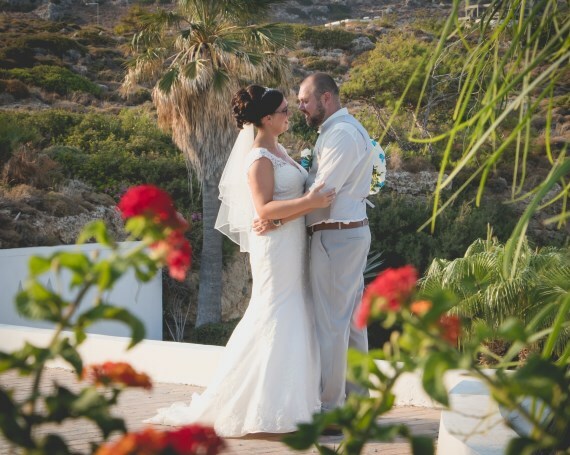 All ceremonies are conducted in English wherever possible in Greece. A translator will be present throughout if it is not possible. Yes we would be delighted to arrange your wedding reception for you no matter how large or small. Arrangements are made in the UK but finalised and paid for locally in Rhodes. You will need two witnesses for your marriage. They can be friends or family - our local wedding coordinators will be happy to assist if this is not possible. Of course. We will be more than happy to cater for any wedding party size. Can we amend/cancel our wedding once confirmed? We will always do our best to accommodate any changes you may want to make. For full details of the dates and charges applied to changes and cancellations please see our terms and conditions. It is completely up to you to choose the style you want for your wedding clothes. Please bear in mind however that temperature in the Med can get very hot and this should be considered when deciding what to wear. Yes, we work with great hair stylists and beauticians who come highly recommended. They will visit you at your hotel to do a consultation and trial run before your big day. We recommend you book this with us before arrival as they are popular and get booked up quickly. We will be happy to confirm private outings and trips for your wedding party. 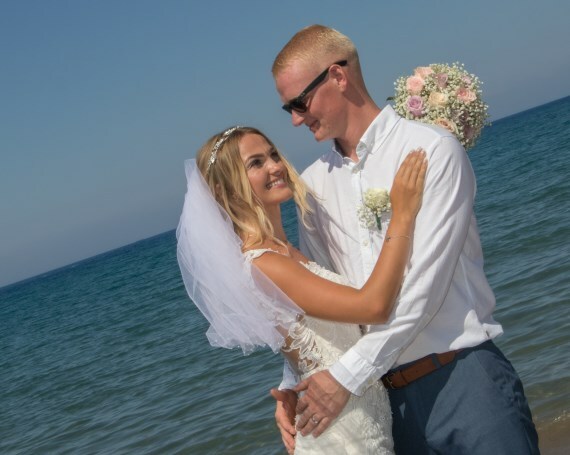 Alternatively we can provide you with details of the excursions we offer in resort should just the bride and groom want to take a trip together! We will be more than happy to make any such arrangements where possible, at a supplement for you. Can you recommend how to transport wedding clothes? Your wedding outfit should be packed away safely in a hard suitcase / box and put in the hold of the aircraft. It is not possible to take your wedding clothes into the cabin itself. Please discuss this at the time of booking as, depending on the airline, this may need to be pre-booked and charges may apply for excess baggage. Can you arrange extras e.g. flowers & a photographer? Of course. 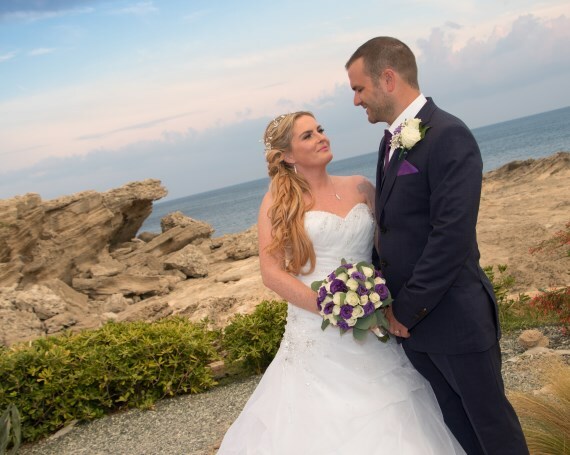 Photographers and flowers are included in some of our wedding packages. You are also welcome to add on any extras such as DVDs or extra images from the wedding extras lists provided. 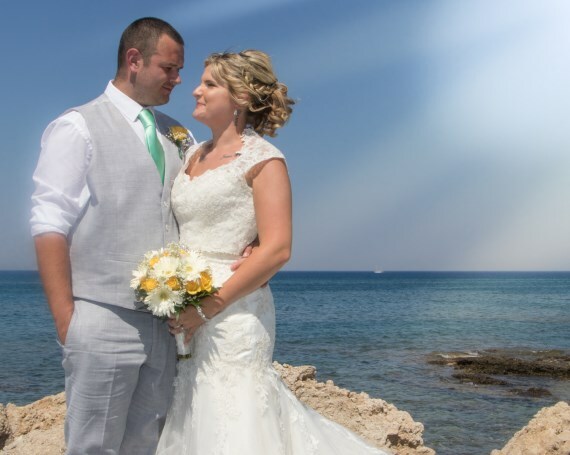 We strongly advise you take out wedding insurance for your wedding abroad. Starting from as little as 29.99 for peace of mind. Please note: Any questions or queries must be taken up directly with and only the insurance company. Unforgettable weddings has no responsibilities for any claims or outcome of claims. We will confirm everything to you in writing and start helping you through the process of organising the legal formalities and advise you of what will need to be done over the next few months/weeks. Who will be my dedicated Wedding Planner on the day? 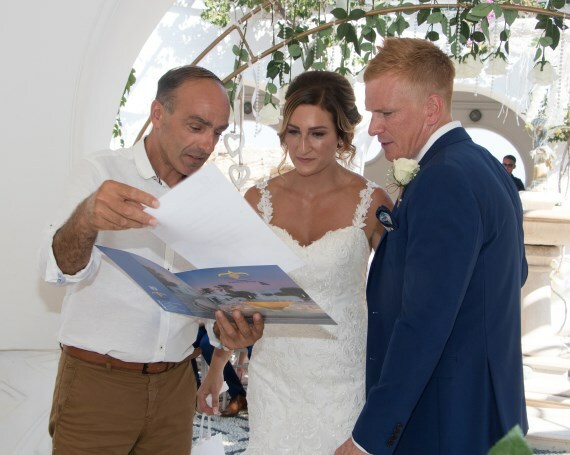 Justine, who oversees all wedding day preparations, is who you will meet with for your in-depth wedding consultation a day or so after you arrive in Rhodes. 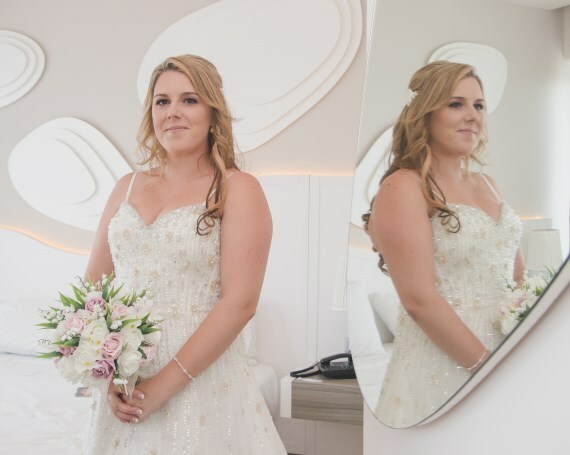 Either Justine or Michele, our Senior Wedding Planner will be your dedicated planner throughout your wedding day.